NASHVILLE, Tenn. - A family mourning the loss of their dog is now warning others about the danger of pets eating many gums or mints. 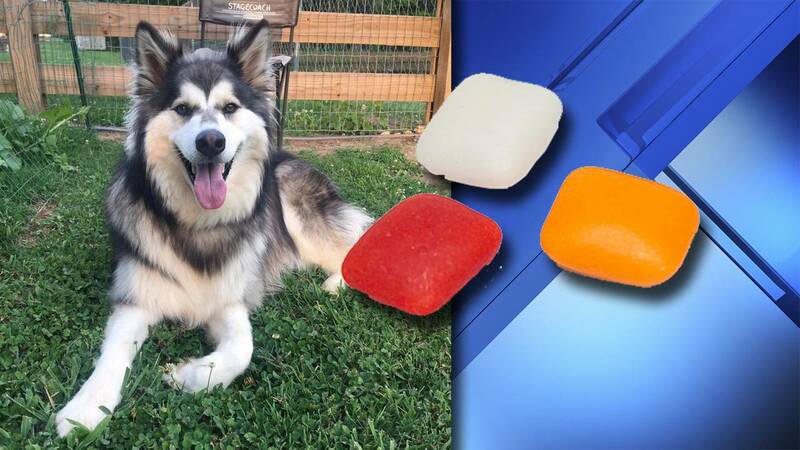 Canon, a 3-year-old Siberian husky-mix, died Sunday, less than 24 hours after the Figlio family in Nashville believes the dog ate a mint or piece of gum that fell on the floor, reports WZTV. The Figlio's say Canon was fine Saturday night, but suddenly stopped eating and drinking a lot of water. They took the dog to the pet ER when he began vomiting up the water. Veterinarians that worked on Canon say his death from liver failure was caused by the ingestion of Xylitol, a sweetener found in sugar-free chewing gum, mints and peanut butter. According to vets, any artificial sweetener can be extremely deadly to dogs. “The first signs you're gonna see usually are weakness, muscle tremors, inability to stand, and that progresses to seizures as their blood sugar keeps dropping lower and lower,” Dr. Eva Evans told the station.